This Friday 10 August on Channel 5 at 8pm Britain by Bike returns for its second series. 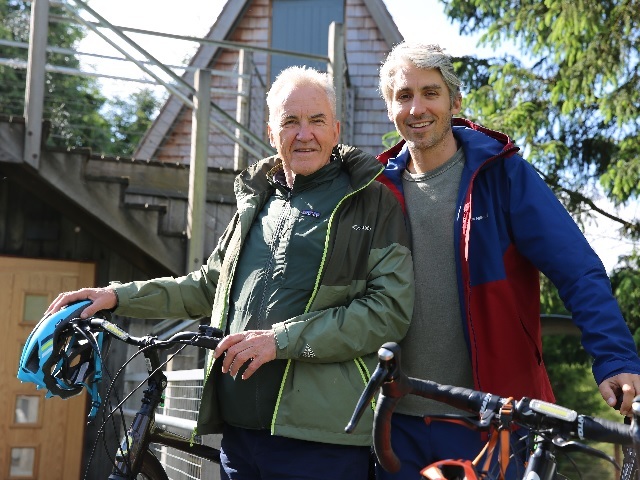 Father and son duo, George and Larry Lamb are cycling across Britain, visiting its national parks. Episode one sees the Lambs come to Northumberland and explore the rolling landscape, learn about the historical importance of the area and discover our dark skies in Kielder Water & Forest Park. During the episode, George and Larry will stay in our amazing treehouse, Skyden. We loved having them come to stay with us and can't wait to see the final episode. Below is a short video of their adventures during filming at Calvert Trust Kielder.